Published by The Federation Press, 2015. Intentional Tort Litigation in Australia considers the high frequency intentional torts of assault, battery, false imprisonment and malicious prosecution throughout Australia. It provides an analysis of the elements of each tort and commentary. The authors consider practical matters necessary in determining whether a claim may be brought; if so, how and against whom; what potential damages, or limitation of damages, may exist; possible defences at common law or arising under statute; and relevant issues that arise in obtaining and using documents in these proceedings. 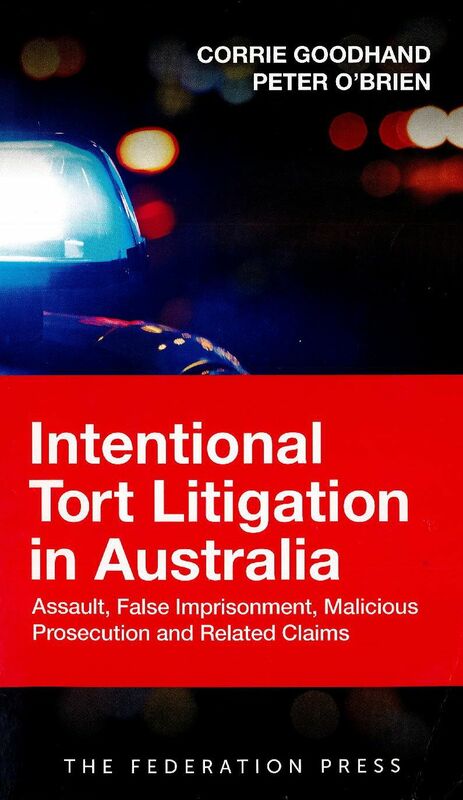 The book is a useful foundation and practical guide for lawyers conducting intentional tort litigation. It will also assist students in understanding the fundamental legal principles relating to these torts and their practical application.